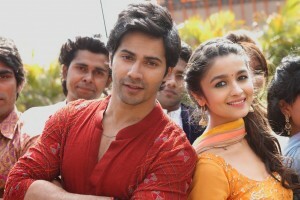 Varun Dhawan, is renowned for doing his own stunts and with awards already under his name including the Star Gold and Lions Gold awards and several ‘newcomer’ accolades nominations, the young actor is all set through Humpty Sharma Ki Dulhania to show yet again that he is one of Bollywood’s rising stars. Dhawan reveals more on the anticipated romantic comedy, speaks on whether he shares any similarities with Humpty Sharma, what attracted him to the project, what his relationship is like with Alia Bhatt and more! How would you describe Humpty Sharma Ki Dulhania? Humpty Sharma Ki Dulhania is a great romantic story, but it’s not your typical Bollywood love film. There’s a lot of originality, which makes it refreshing for the audience. I was actually one of the first people to be approached with the script, by Karan Johar and the rest of the production team. Not only did the script have a lot of heart and soul, but filming the movie presented amazing opportunities. I got the chance to explore North India, including places like Chandigarh, Ambala, Delhi, which was especially exciting because of my Punjabi heritage. It was great to be able to do something Punjab centric, as I felt like I was back home. How would you describe your character, Humpty? One thing that makes the film really original is the fact that Humpty is not somebody you would consider a ‘hero’, in the traditional sense of the word, but rather a character. He’s definitely an optimist and a ‘hopeless romantic’, so I think that will definitely endear him to the audience. Do you think your character in the film is similar to you in real life? I think whenever you play a character, there has to be some similarity to your own character. I would say five years ago, I was very similar to Humpty and that’s what allows me to relate to the character. This is your second time working with Alia Bhatt. What’s your relationship like? I definitely consider Alia a great friend of mine. We both made our acting debuts with the same film, Student of the Year, and that is something which really bonded us. When I worked with her both times, I had a great experience. She’s funny and down to earth. You have also previously worked with Karan Johar a number of times. What was it like reuniting with him? I have nothing but the utmost respect for Karan Johar. He’s always been a mentor for me, and someone that I really look up to. The first time I worked with him was as his assistant director on the film My Name is Khan, which was really my break into the industry. When he cast me in Student of the Year, it allowed me to pursue a career in acting, and for that I am very thankful. 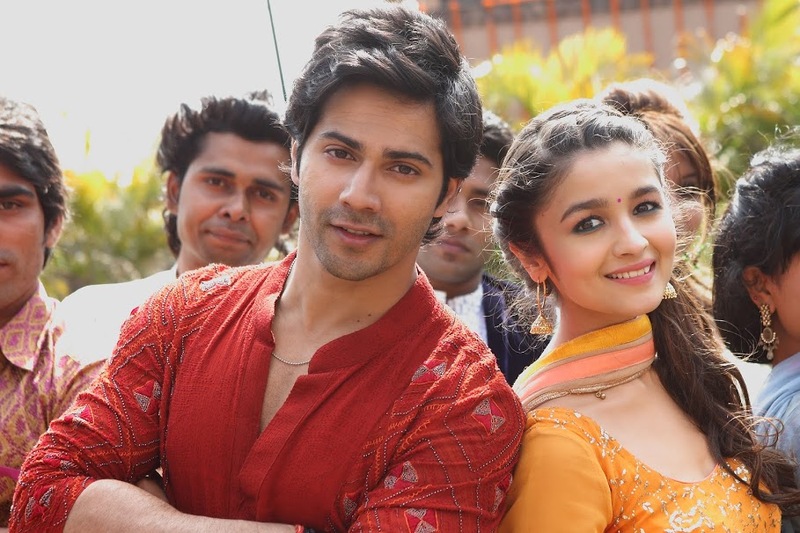 Humpty Sharma Ki Dulhania is directed by debutant director Shashank Khaitan and is produced by award-winning film-maker Karan Johar, whose banner Dharma Productions recently brought you such hit films as 2 States and Hasee Toh Phasee. 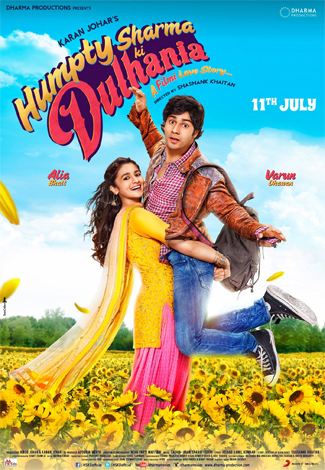 Humpty Sharma Ki Dulhania – A Reliance Entertainment release in the overseas markets, is in cinemas 11th July 2014.